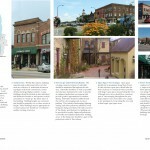 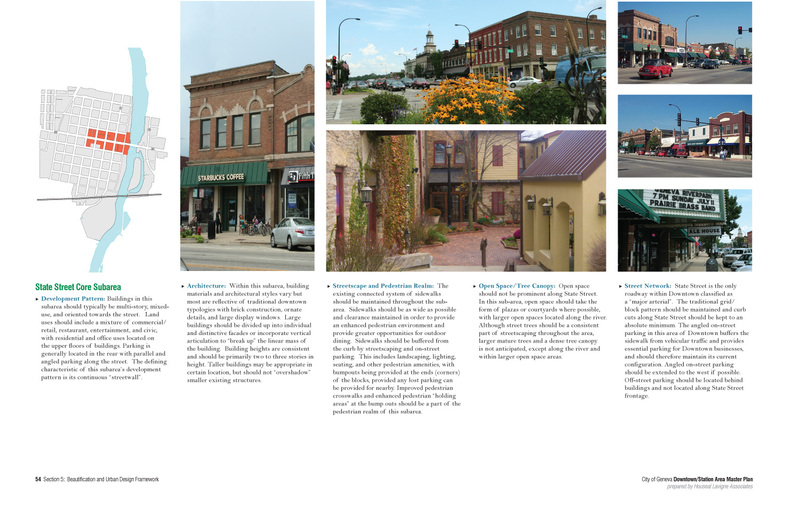 Beautiful and historic Downtown Geneva is situated along the shores of the Fox River and includes an active Metra station, shops and restaurants along the Third Street shopping district, and adjacent neighborhoods with historic houses and tree lines streets. 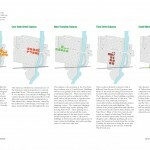 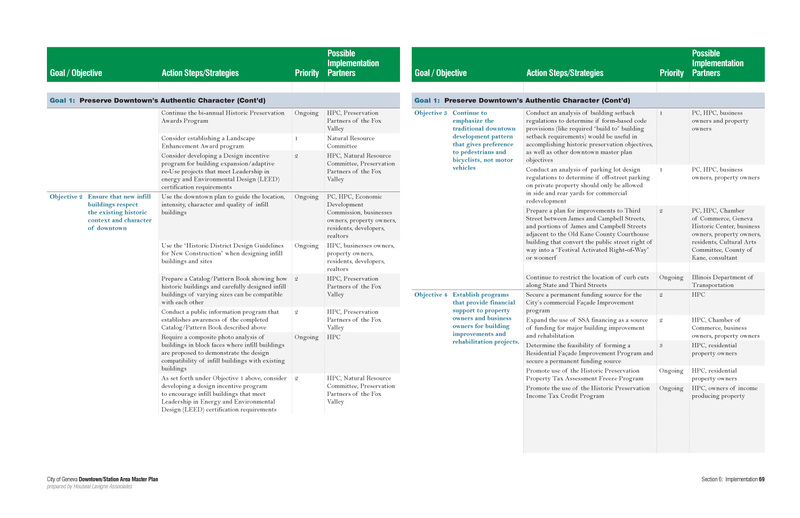 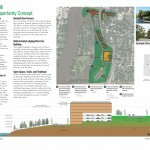 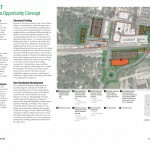 The Master Plan includes infill redevelopment scenarios and 3-D rendering for more than twenty-five identified opportunities sites with the Downtown, priority locations for new structured parking for both shoppers and commuters, and targeted higher density residential development to increase the Downtown population and improve housing options within the City. 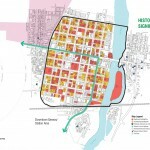 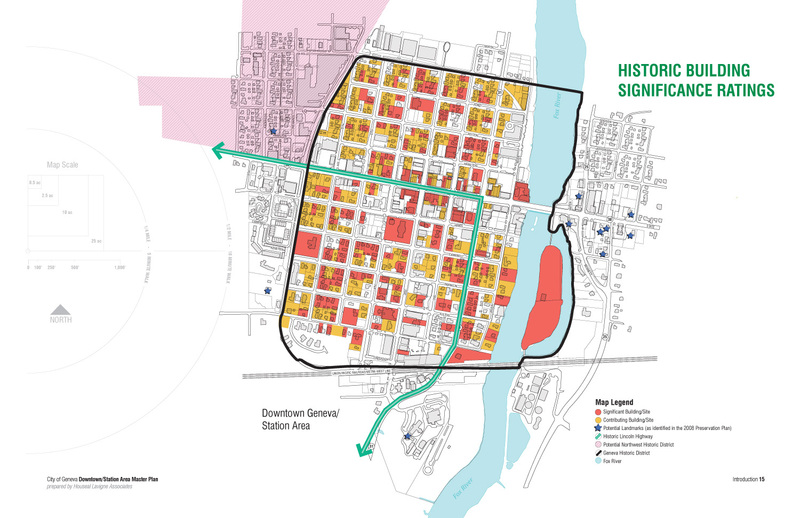 The Plan strives to improve pedestrian and bicycle mobility throughout the area and strengthen the Downtown’s economic position within the region. 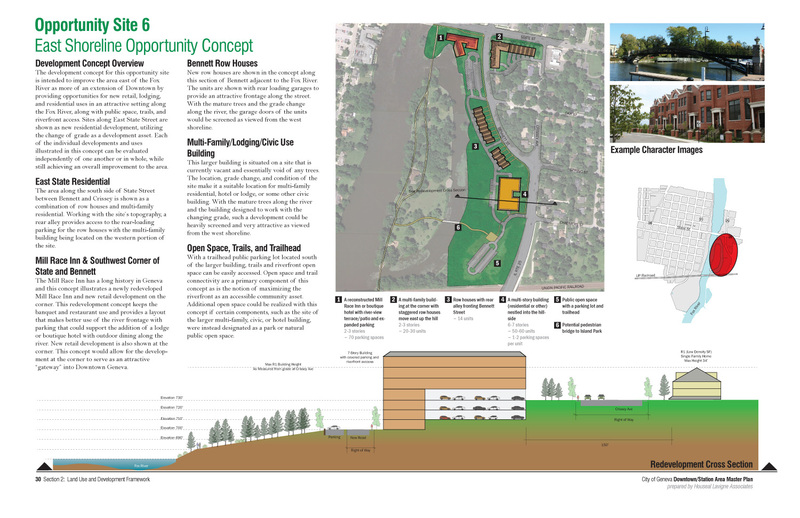 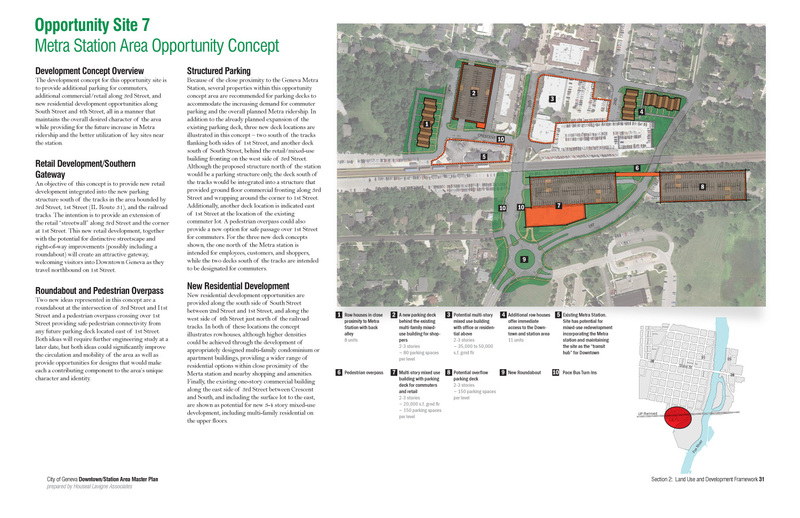 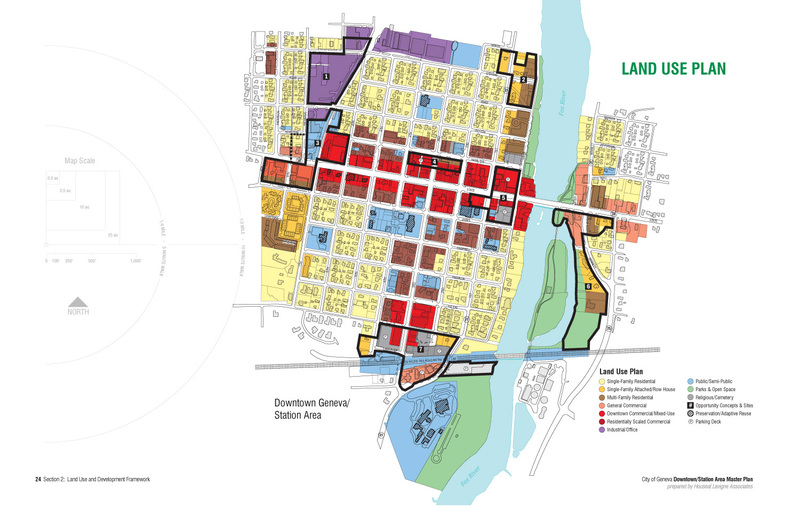 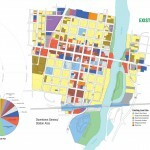 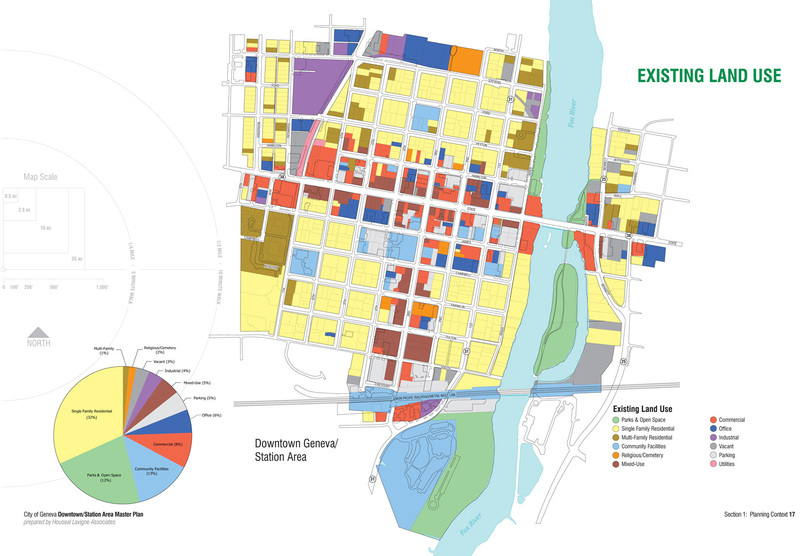 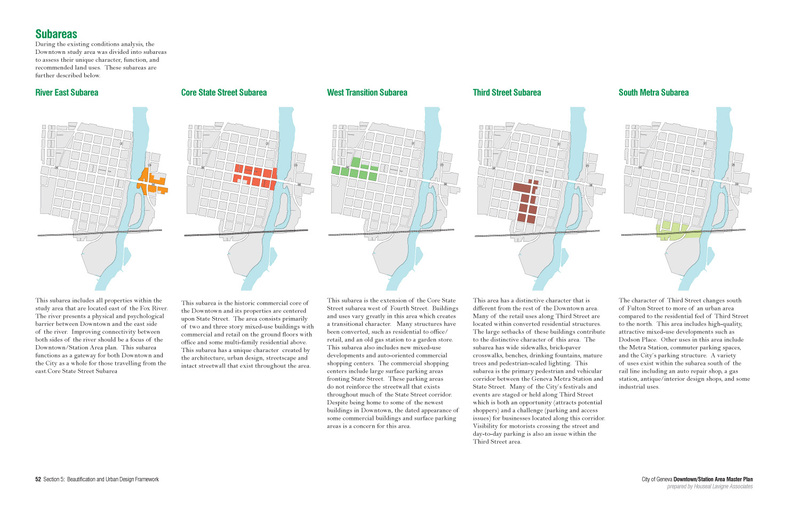 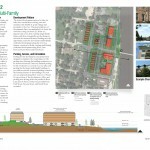 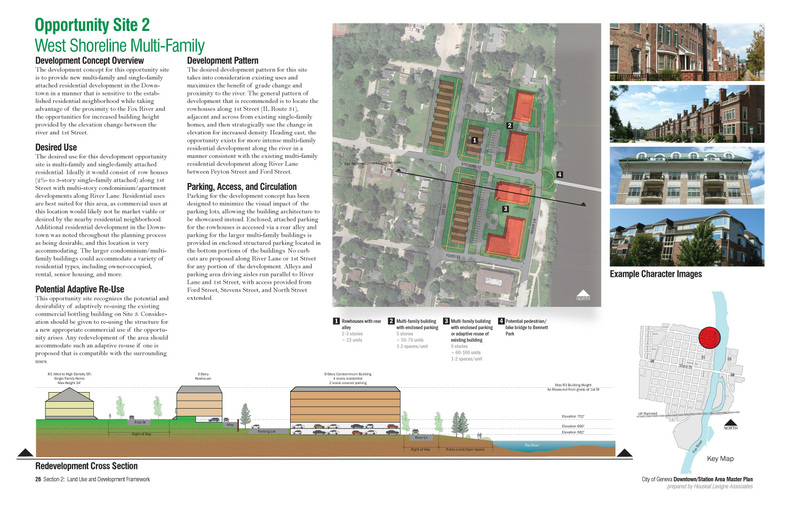 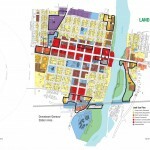 The Master Plan identifies several distinct character areas within the Downtown and focuses on guiding new infill development while preserving the integrity of the Down-town’s rich architecture and history.